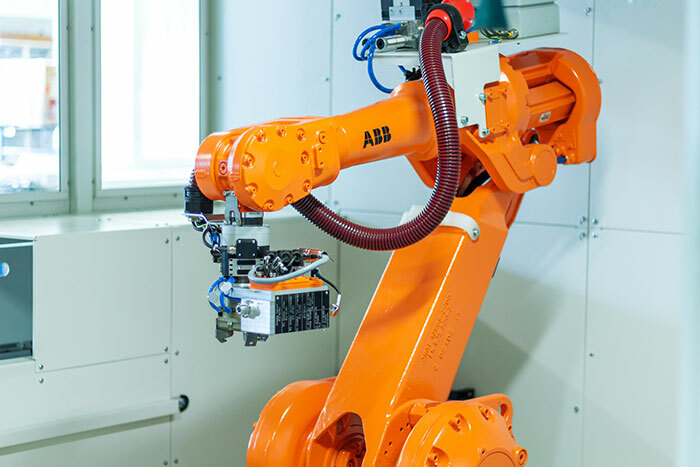 Each of our WMS cells builds on a modular system that, as a result of years of development and continuous improvement, is adapted optimally to the requirements of the deburring process with a robot. 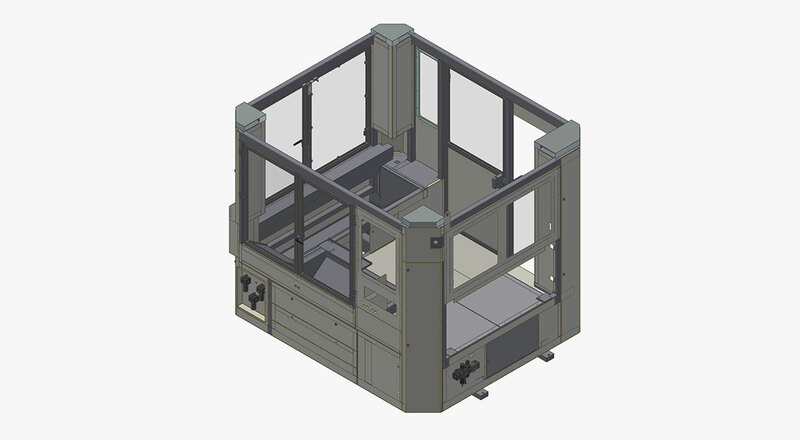 We are able to supply an optimal solution for nearly any customer-specific task by quickly and efficiently adapting the base frame. The tubular frame forms the foundation for the cell design. Similar to the design of a lorry, the forces generated by the robot’s machining and handling processes can be absorbed by this frame and routed into the floor. That means metal sheets and add-on components are not subjected to a dynamic load. The base carrier can be transported with a forklift, which is a key advantage that puts our products ahead of those of our competitors. In the past, we have already performed a few conversions for our customers. This allowed the system to quickly be available to our customers again. This means less costs for WMS and our customers, which significantly increases the overall cost-effectiveness of our WMS cells. 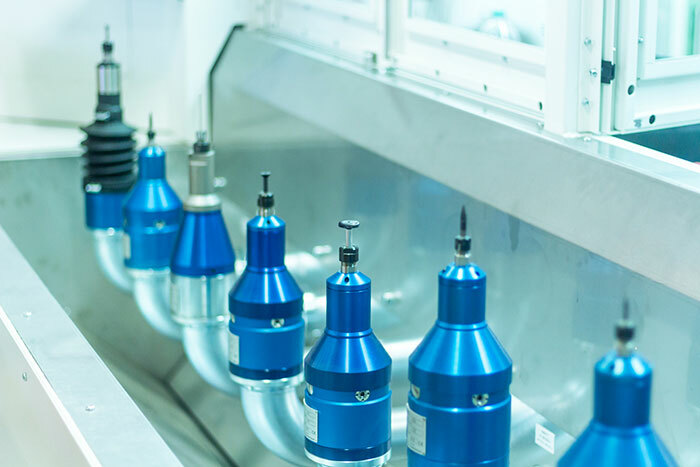 The gripper construction, as well as the sensible design and arrangement of all components and subsystems involved, make a key contribution to the optimal deburring process. That is why our process specialists are in close contact with the designers and the project manager throughout the course of the entire project. Customers can choose from a comprehensive range of options to find ways to feed and remove the components. From different manual loading options to a fully automated material flow system, we have already implemented every conceivable option. However, we will gladly let you surprise us with a new requirement. Please contact our sales team. Patented WMS tools form the core of each WMS cell. For the many different requirements from the design drawing, we can, divided into different quality classes, generally achieve any required quality. You can find some of our completed projects on the following pages. Allow our products to convince you. Has your interest been piqued? We are looking forward to supporting your product and will gladly also visit you at your company. Please contact our sales team. Can be transported with a forklift and a standard lorry trailer. In-house prototypes and polyamide gripper fingers as 3D prints possible.